I’ve since learnt that herring is also part of German cuisine, and have tried it too, although I’m still not its biggest supporter. These are hardly where the similarities end. Even the languages – Norwegian and German – have similar roots. I noticed this when watching the Norwegian disaster movie, The Wave, picking up and recognising several words. It didn’t stop at pickled fish and familiar words. 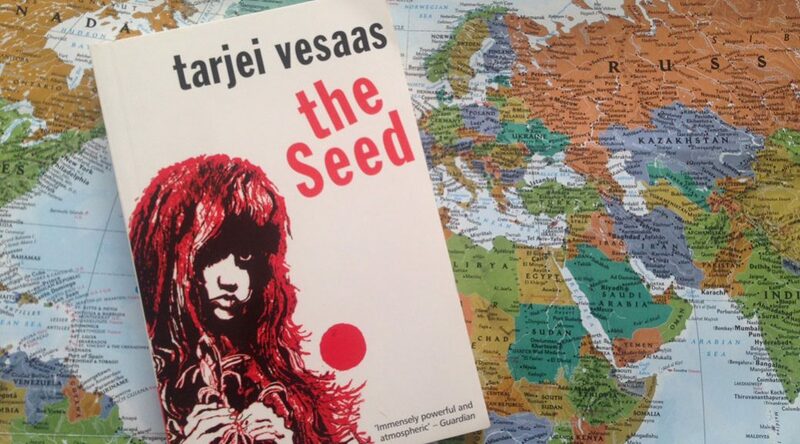 When I read The Seed by Tarjei Vesaas for the Norwegian leg of my reading challenge, I was well-acquainted with many of the characters’ names, because they are family names. These include Rolf, Helga, and Jens – all of which are names of people in my family – as well as Bergit and Else, which are variations of the names of a cousin and aunt. The Seed was unlike anything I have read before. It’s certainly the length of a novel, but its style is so sparse and staccato, it reads almost like a tersely told poem; and the isolated setting and themes of violence and mob mentality contribute to the eerie atmosphere conjured through Vesaas’s style. For a nation constantly topping the list of the happiest countries in the world, they sure seem to have a fascination with darker themes, such as in Vesaas’ work and that of Henrik Ibsen, who wrote A Doll’s House and Peer Gynt. I studied the former in varsity and was fascinated with the latter due to Edvard Grieg’s, also a Norwegian, score for the piece. Unfortunately, his music has since been routinely slaughtered through excessive use in advertising. I imagine Grieg would have been driven quite mad were he to hear how his music’s been misused. But with the beauty of Norway’s dramatic landscapes around him, he may have just let it go and rather channeled his darkness into another score.